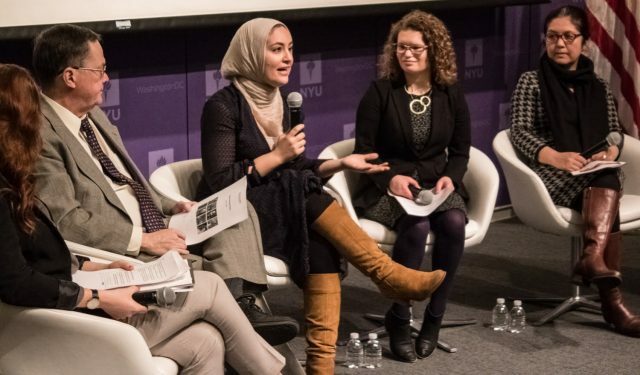 In Spring 2019, Scholars at Risk held its third annual Student Advocacy Days at New York University’s Washington, D.C. campus, bringing together over 40 students and faculty from Carleton University (Canada), Illinois Wesleyan University, Mansfield University, Roger Williams University, Sarah Lawrence College, The University of Iowa, University of British Columbia (Canada), and Wheaton College. Students and faculty participating in SAR’s Student Advocacy Seminars, faculty-led courses on human rights and academic freedom, convened in the capital for the two-day event featuring hands-on workshops on human rights best practices, followed by a day of advocacy on behalf of wrongfully imprisoned scholars. The event opened on March 7 with a daylong skills development workshop, featuring remarks by professionals from the government and NGO sectors as well as small-group trainings led by SAR staff. Mr. Henry Waxman, former U.S. Representative for California’s 33rd Congressional District, welcomed students and faculty to the event, shared his experiences of serving in Congress, and expressed the importance of meeting with elected officials to advocate on behalf of imprisoned scholars, human rights, and academic freedom. Student Advocacy Seminar participants then presented their research on — and advocacy plans for — cases of imprisoned scholars. Students presented on 8 scholars imprisoned in 5 countries. After hearing about the different cases from their peers, students asked each other questions, discussed best practices for action, and sought advice on any challenges. A diverse panel of human rights professionals then shared their experiences, expertise, and guidance in conducting advocacy on the Hill: Ms. Mail El-Sadany of the Tahrir Institute for Middle East Policy; Ms. Rosie Beman of the Tom Lantos Human Rights Commission; Mr. Thomas Melia of PEN America; and Ms. Nicole Morgret and Ms. Zubayra Shamseden of Uyghur Human Rights Project. 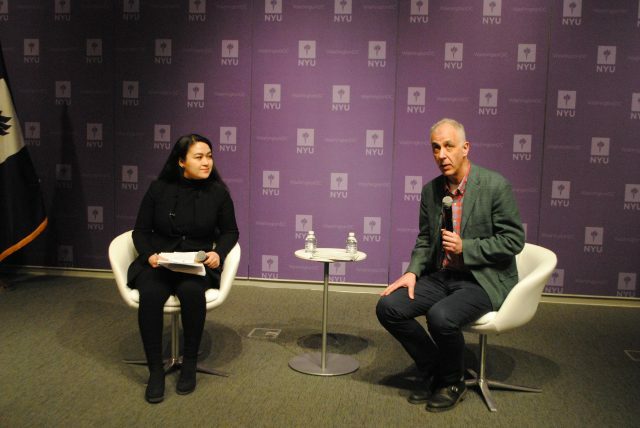 Following the panel, Mr. Scott Busby, Deputy Assistant Secretary in the Department of State’s Bureau of Democracy, Human Rights, and Labor (DRL), gave a presentation on Human Rights and the US Department of State. Mr. Busby explained different actions DRL can take to promote human rights globally. Students then broke out into mock meetings, in which students practiced giving their case pitch to SAR staff and Student Advocacy Coordinators role-playing as Members of Congress. In these small breakout groups, SAR staff provided students with feedback on their case pitches and helped address any questions. All students convened together as SAR staff debriefed the mock meetings and reviewed best practices for the following day’s meetings. Adam Braver, Chair of the SAR-USA Steering Committee and Student Advocacy Seminar Coordinator, facilitated a concurrent faculty workshop on organizing and leading a Student Advocacy Seminar. 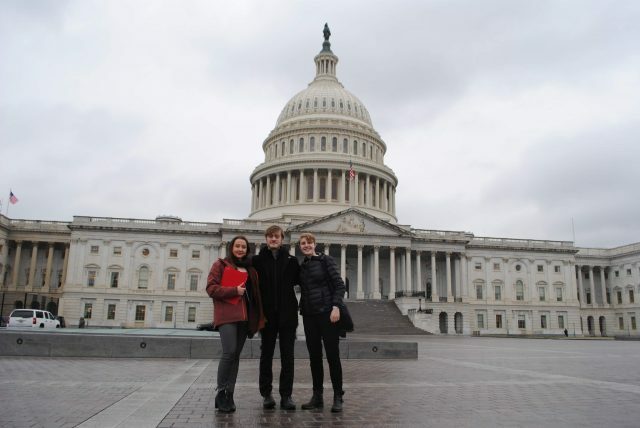 On March 8, students put their newly refined skills and knowledge into action as they had 54 meetings with Members of Congress, the Canadian Embassy, and human rights organizations, to discuss their cases and ask officials to take action. 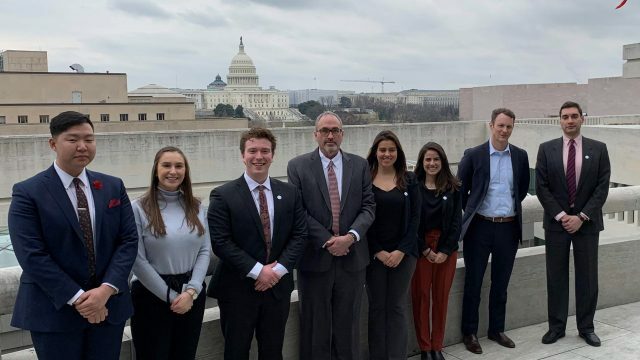 SAR’s third annual Student Advocacy Days provided students with practical tools and knowledge for advocacy, the opportunity to collaborate across campuses, and to advocate on behalf of imprisoned scholars. SAR is looking forward to working with Student Advocacy Seminar students as they follow up with elected officials and continue to advocate on behalf of scholars in prison. Start a Seminar on your campus to join us at the next Student Advocacy Days and advocate on behalf of imprisoned scholars! 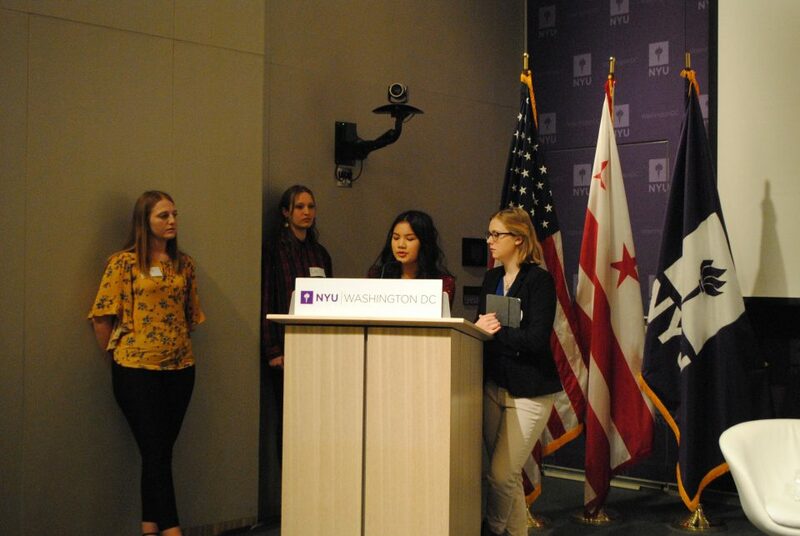 If you missed the day of leadership and advocacy training, watch NYU DC’s video recordings.